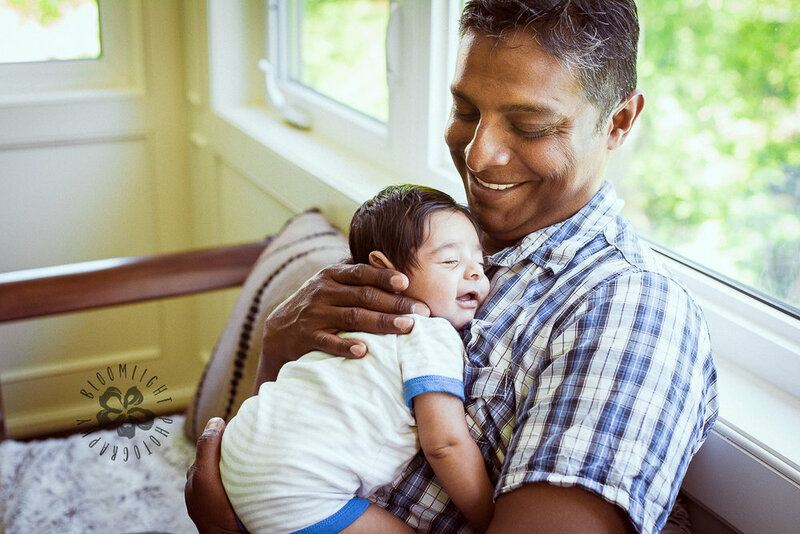 I had a pleasure to photograph the new bundle of love for the adorable family at their home. The new parents and aunt welcomed baby boy, Ethan to his new home. We planned to photograph the first days of baby's life in two sessions: First when the baby was a newborn and less than 10 days old and the second session in his first month of age. This was a wonderful opportunity for mom and dad to see their infant’s fast growth in this short period of time. Each session lasted about 90 to 120 minutes providing baby enough time for his nursery such as feeding, cleaning, ext... 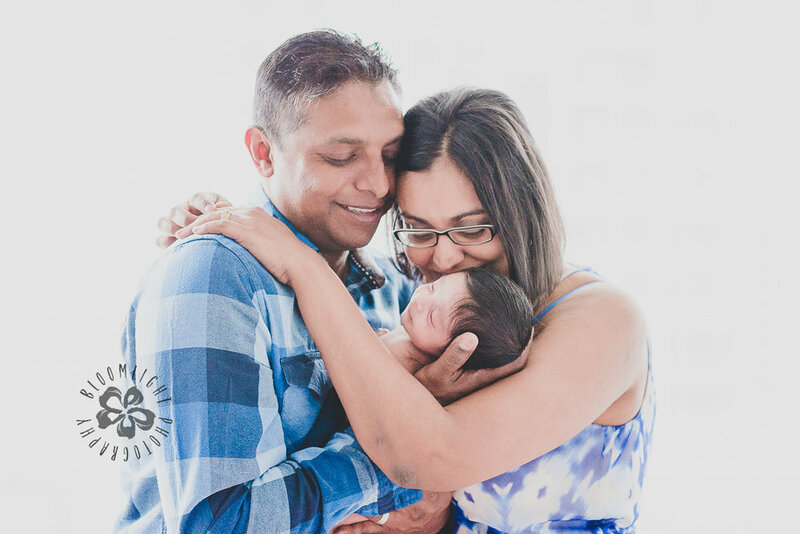 This is one factor that I like newborn photo sessions, as the time spending with the family also allow parents to be comfortable with me as their photographer. This was they feel very relaxed in front of camera and session without posing will be easy and this is gem for any lifestyle photographer. Moreover, it was a great opportunity to show the excitement and love between the new parents, aunt and their first baby boy.